While many people know that thermal cameras are used in military, a variety of building inspections, electrical inspections, and other situations; thermal imaging technology is extensively used for hunting and spotting animals as well. Some people wonder what the difference is between thermal imagers and night vision or if there is even any difference at all! There are differences; night vision amplifies the available light so that you can see objects just as you would during the day. Thermal imaging on the other hand highlights differences in body temperature making it easier to spot living animals or people. Thermal Scope vs Thermal Monocular, what are the differences? Does It Matter Which Manufacturer/Brand I Buy? Do I Want A Color or Black & White Scope/Monocular? Is High Resolution Worth It? Do I Need A Fast Refresh Rate? While you may think that thermal imaging scopes and monoculars are essentially the same that is incorrect. Monoculars are meant to be small and compact; able to fit in your bag and allow you to look at or spot animals and other things that are not far away. Monoculars are usually less expensive than thermal scopes because they have weaker optics (less magnification), no mounting rails, and fewer software add-ons. Thermal scopes, on the other hand, are designed to help hunters get better shots at their targets from much further away. An entry-level thermal scope will be good for 100 to 250 yards; whereas a very expensive thermal scope can help you accurately target objects over 1,000 yards away. 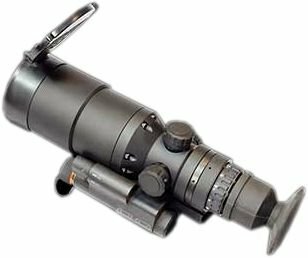 Better (typically a germanium lens) and more complex optics used in thermal scopes allow for much higher magnification which is another reason they cost more. Thermal scopes also have more electronic and software features to assist the shooter such as a ballistics calculator, range finder, and recoil activated video recording. You may also be wondering what is the difference between a 5x50 monocular or scope and a 3x15? The first number refers to the magnification of the image so a 3x would magnify the image 3 times. The second number the (15) refers to the size (objective size) of the front lens in millimeters. Your initial thought is that you should always go for the largest magnification and objective size however that is not the case. First, the larger the magnification and objective size the more expensive your scope or monocular will be, secondly, the larger the magnification the harder it will be to steady the scope or monocular on your target without a tripod. Finally, the higher the magnification the smaller your field of view. What is the field of view? The field of view is how much of the image you will able to see when looking through the scope. For example is the field of view is 300ft at 1,000 yards you will be able to see 300ft of the image when looking through the monocular or scope without moving the lens. So what does it all mean? This means that you should think about the situations and distances that you will likely be using your monocular or scope in and buy accordingly. 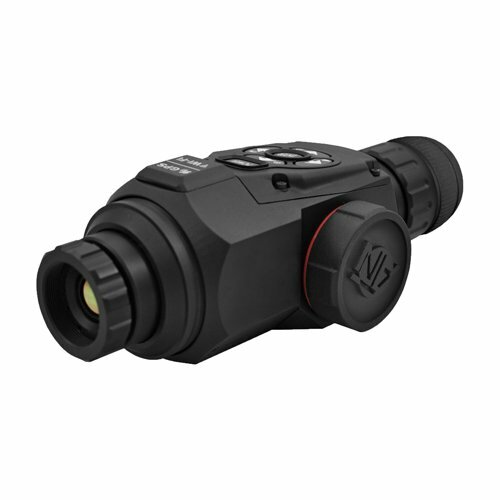 If you are not going to be spotting or shooting more than 300 yards out then you may not need to purchase a scope or monocular with powerful optics and higher sensor resolution; not only will you save a lot of money but it will be much easier to use a scope or monocular rated for this distance. First reserved for the military, thermal imaging rifle scopes and monoculars have come a long way to now be adopted in law enforcement and civilian sporting activities like hunting. Thermal imagers give you the tactical advantage that you need when out in the field in low or no light conditions. Thermal imaging scopes are different from night vision scopes. They detect heat signatures from objects and turn them into visible images sensing and displaying the differences in temperature that an animal or object emits. If you are planning to hunt boars or other nocturnal animals, you’ll be able to see them in pitch darkness. While prices for thermal imaging scopes and monoculars have come way down they are still a large purchase with almost none available under $1,000. If you are on a budget we would suggest a digital night vision scope; which is completely different than a thermal scope. We have assembled a list of night vision scopes under $1,000 here. Want to know which ones you should consider? We chose the top 10 best thermal imaging devices for hunting and summarized their pros and cons for you. The PTS 233 ThermoSight Pro is FLIR's newest thermal imaging scope featuring the latest technology and innovation in thermal imaging. One of the most notable being their new 320x256 BOSON 12-micron thermal core and 60Hz refresh rate for super smooth target tracking. The use of the new small thermal sensor allows the scope to produce clear clean images in complete darkness/fog/rain, reduce the overall size and improve battery life. The ThermoSight Pro line has three different optics options (PTS233 - 19mm, PTS536 - 50mm and PTS736 - 75mm) making it a great choice whether you need a thermal scope for shooting long distances or short distances. 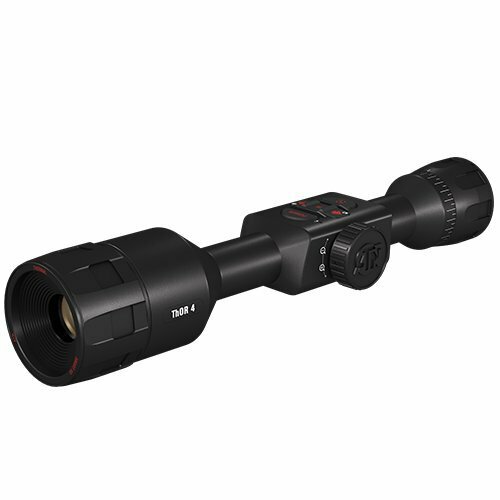 The PTS 233 comes with a 19mm lens and 12 x 9.5-degree field of view. A higher thermal resolution (640x480) BOSON core is also scheduled to be released soon for those who want the highest thermal resolution along with longer range optics options. The PTS 233 has an ergonomic exterior that is easy to handle no matter the environment. An aluminum alloy safeguards the components of this device, so if you ever drop it on rugged terrain, you can be sure it’s going to continue working. The PTS 233 comes with an addition of recoil activated recording so you don't have to hit record before your shots, this is a welcome feature as some smart thermal scopes on the market already have this feature. The video signal is uncompressed so viewing on your tablet or TV is crystal clear. The onboard storage can save up to 2.5 hours of video or up to 1,000 images. Battery life has also been increased with the smaller BOSON core now offering up to 4 hours of continuous use. The smaller thermal core also reduces the cost which is always a good thing. Finally, the PTS 233 comes with FLIR's legendary 2x3x10 warranty for their outdoor equipment. Dimensions: 8.7" × 2.7" × 3.3"
The good news starts simply by looking at the warranty on this model. FLIR covers you for an entire decade on its detector component so you know you’re getting a quality product. We also loved the diversity as you have six different reticles to pick from. It makes it appropriate for almost any user’s preferences. The display is high quality and with the built-in video output others can view what you’re seeing as well. The brand impresses with various memory settings for different rifles. Use one unit for all your rifles. The only thing missing is a quality range finder. Users appreciate how user friendly it is - you don’t need a lot of tech experience to still make the most of it. The ATN ThOR 4 384 Smart Thermal Scope (2-8x 60Hz) is our pick for best value thermal imaging rifle scope. Depending on your shooting preferences and needs you may want to choose a different lens setup though, which will affect the price. Don't worry they have a 640 version coming soon which will offer even higher thermal resolution. ​ATN's newest (4th generation line) the Thor-4 384 is our best value model, mainly because of the affordable price tag and new features. The ThOR 4 384 includes all the regular features you would expect such as video recording/streaming at 720p, ballistic calculator, range finder, and IOS/Android apps for use with smartphones or tablets. The 4th generation also has a 60Hz refresh rate (up from 30Hz in the prior model) giving you crisp images even when tracking a moving target. The ThOR 4 can now handle up to a 256 GB SD card so you never have to worry about running out of video storage if you are on a long hunting trip. The ThOR 4 also has a zoom wheel on the side of the scope instead of buttons which makes zooming much easier. One of their newest enhancements is the ability for dual streaming which allows you to shoot, record AND stream to a phone or tablet at the same time! Battery life has also been extended to over 18 hours of continuous use. 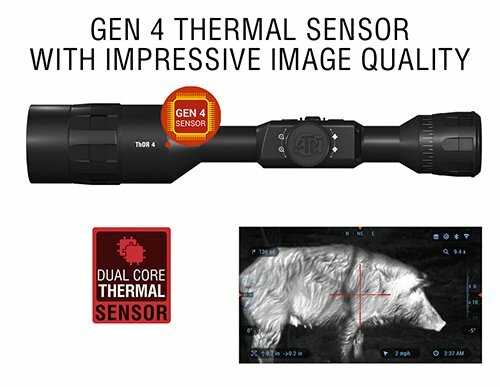 While there are lesser expensive models if your looking for a full featured thermal scope that has the latest features and dual streaming options this is the one for you. The ATN ThOR 4 also has an upgraded 3.5 inch eye relief with multiple eye rings to make mounting on many different rifles easier and more comfortable for the shooter. There are three rings included, two standard rings and one L ring for extra eye relief when needed. The ATN ThOR 4 384 allows you to detect, recognize, and identify targets further away than previous generations with the help of their newest thermal (microbolometer) detector. The detection range is 960 meters, the recognition range is 480 meters and the identification range is 300 meters. 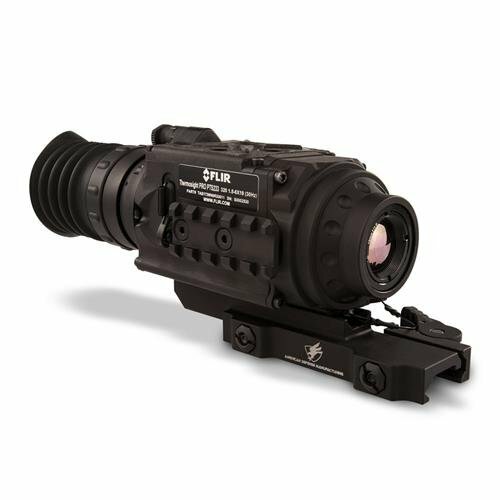 It features ATN’s Obsidian Dual Core IV processor matched with their enhanced optics that provides clearer images than ever before. The ThOR 4 384 uses a smart system which gives you parameters of important environmental data making longer shots easier, This includes such elements as wind direction, wind speed, relative humidity, etc. You can easily calculate the trajectory of your bullet; making it easier to hit the target on the first attempt. It saves you from having to deal with the complexity of reticles and reading charts. One of the best features from the prior line is the ATN ThOR 4's Recoil Activated Video Function. You just have to switch to this mode, and your thermal scope will be ready to record, store, and stream videos the moment you pull the trigger. This features records the last few seconds before your shot and and a few seconds after your shot allowing you to capture everything. This means you’ll be able to share your expeditions with your friends and relive great shots. The scope records video in 1280x960 resolution. It even has a gyroscopic image stabilizer which helps you to zoom in on an image without losing its sharpness. With the built-in smart rangefinder, you can easily estimate the distance to your target. It makes targeting simple since, with two clicks and a shift of the scope, your target will be in your kill zone. The ATN ThOR 4 can be operated remotely via Wi-Fi or Bluetooth. You can access the device on the ATN Obsidian app on your tablet or smartphone. The app also provides you with a gallery to the recorded images and videos. ATN is a reliable brand, and the ThOR-4 384 proves you can depend on their models for everyday use. It is a device made for anyone who needs a quality thermal scope with the newest features at a reasonable price. ATN also proudly makes all its products here in the USA. The reason you’ll love this one is probably because you can use it in almost any weather conditions. That’s thanks to the IPX7 waterproof rating. This quality even means you’ll be prepared for hunting in snowy conditions. You’ll also be able to keep using it even if you put it through some rough handling; possible thanks to the impressive shock resistant features. Accurate shots are possible thanks to the scope giving you more information than many other thermal scopes. Apart from seeing the animal or target in your reticle, there’s a ‘picture in picture’ function. This shows more detail about the animal just above the center of the reticle. Don’t worry, it takes up very little space on the screen so to most hunters it’s not distracting and can be turned off if desired. Whatever you’re doing, allow others to enjoy the experience by streaming it live thanks to Pulsar’s StreamVision app. Apart from excellent battery life, it’s even easy to recharge and you can use a power bank for extended hunts. Here is an exceptional unit that looks sleek and works dynamically, but take note it’s one of the more expensive units on the market. It’s also heavier than many others, so not the ideal option for long days long hunting trips. For the price you get impressive results giving you crystal clear images at night. It usually presents so well you’d think that it is daylight. This also means you’ll have the best chance to get your intended target as you can easily discern exactly what you’re aiming at. It’s an ergonomic design so you’ll love handling this on the go. It has a few drawbacks, such as a somewhat limited field of view compared to some others on our list. However, the brand’s expertise thanks to 25 years in the market shows. They even added a replaceable IR shutter to the objective front lens. This means the most important (and costly) item is protected at all times. 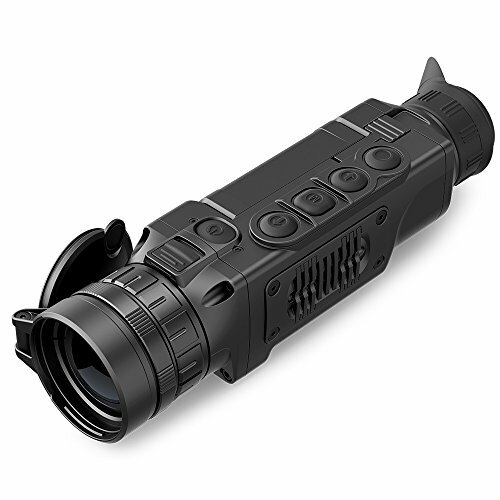 Dimensions: 7.4" x 2.9" x 3.1"
The Pulsar Helion XP (1.9-15.2 mag) represents the top performing thermal monocular from Pulsar and it our pick for best premium thermal monocular. With a 1475-yard heat detection range, it is your best shot at performance whether you are in security, surveillance, hunting, or search and rescue. The Helion line also allows you to swap out lenses which none of the other Pulsar monocular lines allow you to do. Finally, the Helion comes with Pulsar's Stream Vision which allows you to stream video and images to a smart phone via the app; a true game changer. The Helion thermal monoculars come with onboard video recording, picture-in-picture mode, and an eight-color palette. This palette will enable you to change the colors from the favorite white hot to black hot, violet, rainbow, ultramarine, and others. You are supplied with the necessary accessories including the battery pack charging unit, USB cable, 220-USB plug, hand strap, lens cleaning cloth, user manual, the carrying case, and a warranty card. While Pulsar is a global company their thermal monoculars and scopes are manufactured in the US in Mansfield Texas. Dimensions: 9.2" x 2.2" x 2.3"
This monocular looks bulky at first sight but place it in your hand and be amazed at the amount of features that have been built into it. And it fits snugly into most people’s palms, so no problem on the physical design. The brand even attached mini rail points - with these you can attach it to something like a helmet mount. Hands free usage in an instant! Unlike some other monoculars this one enables you to record video or capture images. It helps you customize your experience by allowing you to adjust the palette for more effective viewing on the screen. We loved the outdoor alert setting which highlights objects in red so they will stand out from the environment you’re surveying. Users appreciate the clarity and portability but know that it has limited range compared to some others. However, if you’re looking to keep your gear compact, this is a winner. To enjoy updated feedback from the landscape you’ll appreciate the fast 60Hz frame rate. It’s impressive for such a small monocular. You’re buying from a reputable company so you can enjoy the long warranty period of at least 2 years. A nifty extra is getting 3 years if you simply register the product. On its internal memory you can store a considerable amount of information, although it’s much less than some of its counterparts due to the smaller size. 1,000 photos and 2.5 hours of video are still enough for many hunters. You just can’t record everything you see if you’re using this for night surveillance. This design has most of what you want in your next monocular. Everything from video recording, live feeds to your friends and powerful thermal technology can be found here. On top of that it looks and feels quite rugged, giving you confidence that you won’t break it if its dropped. The industry standard of a 3 year warranty is included, so you know you’re buying quality. Bonus: It’s more affordable than some other monoculars we mentioned in our review. Newbies or those in tense situations don’t have to worry about shaking from the adrenaline rushing through your veins. This one is fitted with an E-compass but also image stabilization. You’ll always have clear smooth images. It has a zoom (which you don’t always find in this niche) and we love that everything else shows high tech characteristics too: The brand even ensures long term use with making the firmware upgradable. The process sometimes gives errors, but try their friendly customer service if need be. Users love the Wi-Fi features so anyone can log in, view and share the experience with you. The digital zoom is a great plus, but just be prepared for more grainy visual feedback when using it. We’ve mentioned range often in this review - this one is more impressive than some, but know that beyond 100 yards it requires effort to distinguish what you’re actually looking at. Know your hunting style - if you’re often very far away from your prey, this one may not work for you. To enhance your experience, you should try out the different coloring options as many find the white hot mode helpful to identify animals, especially for hog hunting. This model looks sleek and we love the exterior. Pick the brown design to benefit your next hunting trip - you won’t easily get spotted as it’s the perfect hue to wear with camouflage outfits. It’s quite impressive and all the features are packed into a compact unit that fits comfortably into your hand. It won’t be cumbersome even if you’re in the field for a few hours. Fast response is essential if you’re after a certain animal on the run. 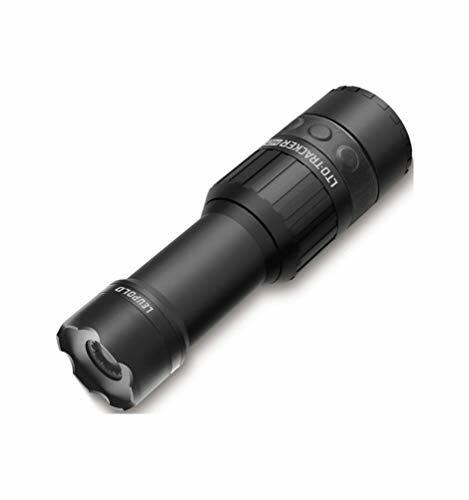 This monocular powers up very quickly (within seconds) so you’ll be ready whenever necessary. Thanks to the thermal imagery you’ll get very clear feedback on what’s out in the field ahead of you. On the large LCD screen you’ll get all the visual information you need for the hunt. This thermal monocular also becomes a product you’ll use in other life scenarios too. If you’re concerned about security, you can use this to determine what’s lurking in the dark - it’s so compact you can keep it in a drawer or in the car. It’s not perfect as many users lament the lack of zoom and the range is limited. However, for the size and image quality this shouldn’t stop you from trying one out. You’ll be able to pick up heat signals from over 380 yards away. You can drop this from 1m high and it won’t break. It’s not the best in the market, but at least you know you’re buying good quality. Even if you drop it in shallow water: Just pick up and carry on. This is such a slim, simple design that contains high tech features. Just note that this isn’t a true monocular. It’s a thermal tracker—but you may find that it’s exactly what your hunting gear needs. It will give you feedback on heat signals up to 750 yards away and we love how quickly it starts up: Only 4 seconds and you’re good to go. It does have limits such as having no mounting options and of course it can’t handle firearm recoil. However, it’s still an investment since it’s a unit you’ll use both day and night. Take it along for rough handling situations too - the Gorilla Glass cover can withstand a lot. You can’t adjust the reticle but you’ll appreciate the multiple color palettes (8 in total). Probably one of its best features is that this one is super light. It’s a user-friendly model and slightly more affordable than others on this list, making it a good option if you’re just starting out and shopping on a budget. There are dozens of different types and grades of thermal rifle scopes on the market today and with the ability to find them all on the internet it can be a daunting task to find the right scope for you and your budget. Should you save money and buy an entry grade thermal imaging scope with a low refresh rate (>30Hz) and minimal features? Should you buy the most expensive thermal scope that your budget allows with all the bells and whistles such as recoil activated recording, ballistic calculator, and the ability to shoot targets 1,000 yards away? While the correct answer for everyone is different it probably lies somewhere between these two extremes. While everyone will have slightly different needs and a different sized budget I always like to think about how often I will be using the scope and in what conditions I will be using it. If you will only be using the scope once or twice a year for a "fun" hunt and will not be in extreme weather conditions, then a more budget friendly scope with fewer options will probably do very well for you. On the other hand, if you are going to be using the scope dozens of times per year in harsh conditions and/or long distance shots then a higher quality and more expensive scope will be a better buy for you. Below are some of the things that you should be on the lookout for when deciding which thermal imaging rifle scope to buy. 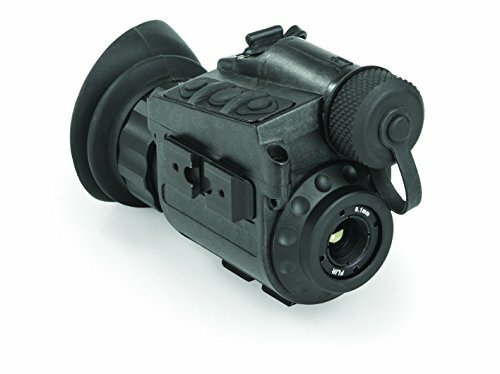 There are many manufacturers of thermal imaging moncoulars and rifle scopes some of the most popular and better brands are, FLIR, Pulsar, and, ATN and many others. 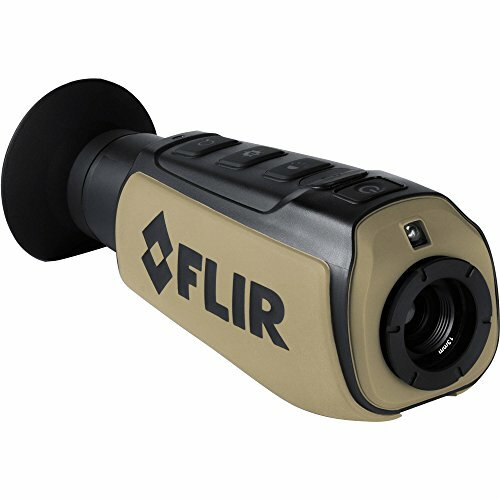 FLIR is probably the most well-known and one of the best brands currently in the monocular category. They have an industry leading warranty and produce very high-quality products; however, their products are usually the most expensive. For those looking for high quality and willing to pay the price FLIR can be a great choice. ​Pulsar is a more mid to high level brand with a large selection of monoculars at a variety of price points. They also have several scopes available. 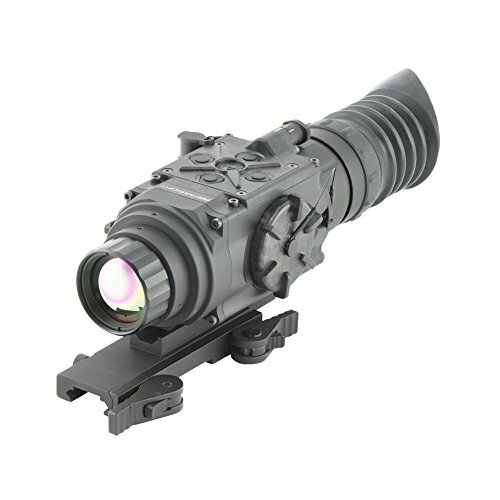 ATN is one of the more popular thermal imaging rifle scope makers and makes a quality product for a reasonable price. Do you need a full color thermal monocular/rifle scope or will a black and white one work fine? A lot of this will come down to personal preference and how much you want to spend on your monocular or scope. Black and white can be easier to see however you cannot detect the temperature ranges as easily as you can with a color one but will be more expensive. At the end of the day this option should probably be further down your list of priorities as you will be able to get better optics and/or resolution with a black and white display. Depending upon how often you are going to be using your thermal imaging monocular battery life may be a very important factor to consider when making your purchase. As a rule of thumb, you would want a battery that will last at least a couple hours without replacement or recharging. Some batteries can last up to 8 hours, but these are typically found in more expensive scopes and monoculars. The FLIR Scout TK monoculars battery lasts for 5 hours as an example. Typically, thermal riffle scopes' battery last anywhere between 8-12 hours. Most high quality scopes also come with easily accessibly battery trays so you could take extra batteries if you run out of juice. There are also many external battery packs that you can buy to extend the life of your scope. What resolution do your need your thermal imaging monocular or rifle scope need to be? Again, this will depend upon your personal preference and how much you want to spend on your monocular or scope, Higher resolutions will allow you to see animals more clearly but will add to the cost. 384x288 is an okay resolution but ideally 640x480 is where you want to be. The refresh rate dictates how quickly the image refreshes with higher refresh rates making for smoother more accurate images but also increasing the cost of the rifle scope or monocular. A refresh rate of 30HZ or higher is recommended as this will give you a smooth image and you will be able to track your target much more easily. While both zoom types have their places; an optical zoom will not pixelate as a digital zoom will. The optical zoom is typically more expensive though so there is a bit of a tradeoff. Depending upon how far away you are going to be from your targets a digital zoom may be okay. For first time buyers we would recommend a digital zoom as it will cost less; however if you know that you will be shooting at long range targets or spotting animals from long distances away then an optical zoom or combination optical and digital zoom maybe best for you. This is probably one of the more important areas where you need to spend a little time figuring out how far away you really want to be able to spot/identify animals as lower end monoculars and scopes will turn the image into a blob quickly if you have a low quality zoom. This is one area when personal preference comes heavily into play. There are a variety of recital styles ranging from the classic "red dot" to the standard crosshair here you can choose what you prefer, and many scopes and monoculars allow you to change the reticles among several presets giving you even more options. 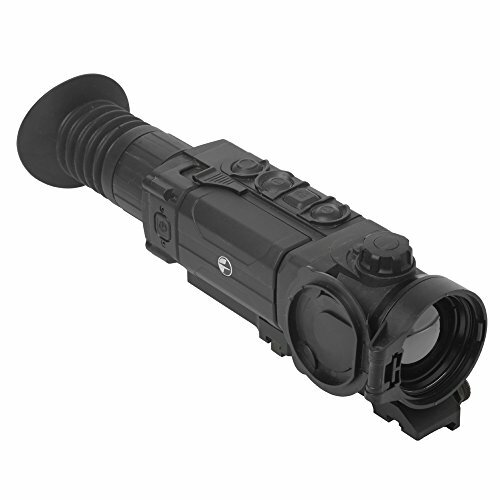 Germanium glass is used in more expensive thermal rifle scopes and monoculars as it is not an insulator like normal glass. While thermal rifle scopes and monoculars with germanium are much more expensive. For casual or weekend users you would almost exclusively look at standard glass or silicon scopes and monoculars as they will be more than adequate. Probably one of the most important factors in selecting the right thermal imaging scope or monocular. Prices for scopes and monoculars range from under $1,000 to over $15,000 for the top end military grade ones. As with almost everything you do get what you pay for so typically the more you spend the better quality and more features you are going to get. As a rough guide typically, any scope or monocular under $1,500 is considered a mid to entry level scope or monocular; however, for many people that is all they will need. Only serious hunters and enthusiasts can justify or rationalize spending $5,000 to $10,000+ on some of the higher end thermal rifle scopes and monoculars. Whether you are looking for a thermal imaging monocular or rifle scope we have put together the comprehensive guide to help ensure you are able to find the best one for you and your budget. If you have already purchased one of these or a different one please let us know what your experience has been.